Do the old and vintage things lying in your house make you fretful and worried? 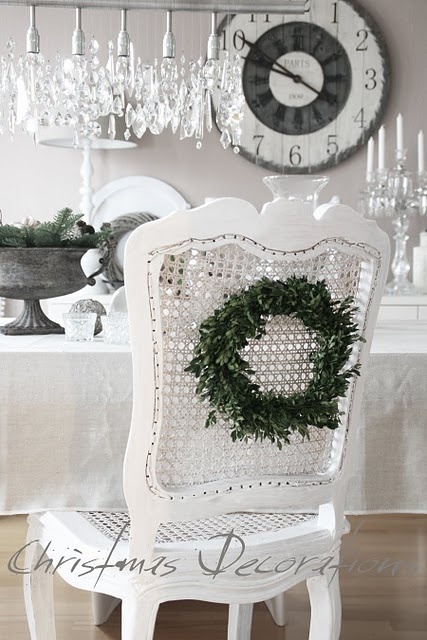 How about transforming into a décor for Christmas? 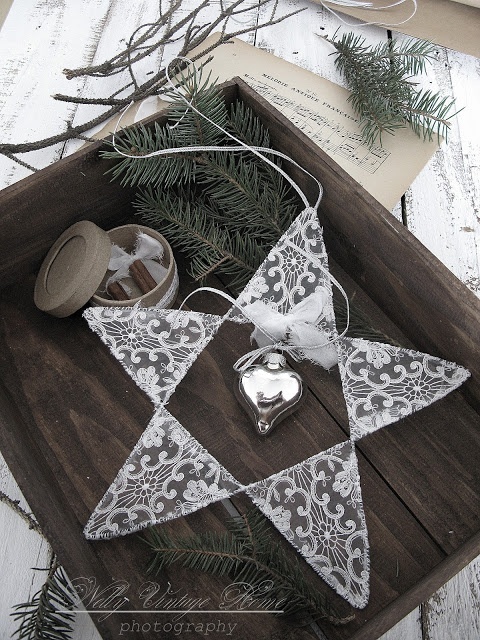 Christmas decoration dates back to centuries. In those days, it was either elaborate with green, red and gold, or pretty with pastels. The trend has changed significantly now, but if you wish to stroll down the memory, you’ve come to the right place. Below we’ve gathered some absolutely beautiful ideas to help you with vintage decoration. Have a look! It cannot get more vintage, more Victorian than this one. 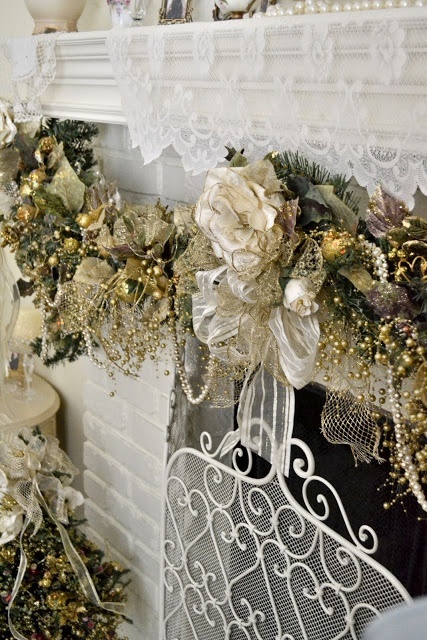 Silver and gold, typical vintage shades are used for the decoration. The floral bows are a welcome addition. 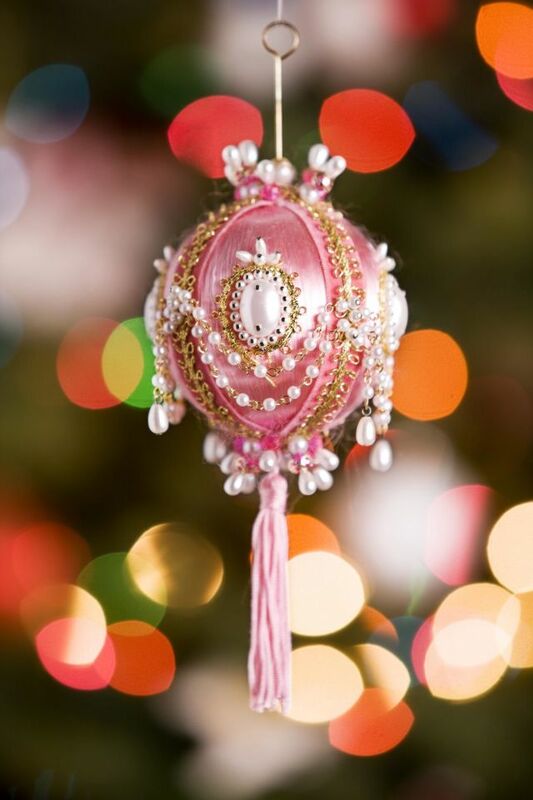 These embroidered ornaments, better known as the Victorian egg was immensely popular in the Victorian era. It will make an excellent, rather elaborate addition to the décor. Do you know when bottle brush trees came into existence? It came into being way back in 1930. So could you get a more decorative item for your vintage decoration? 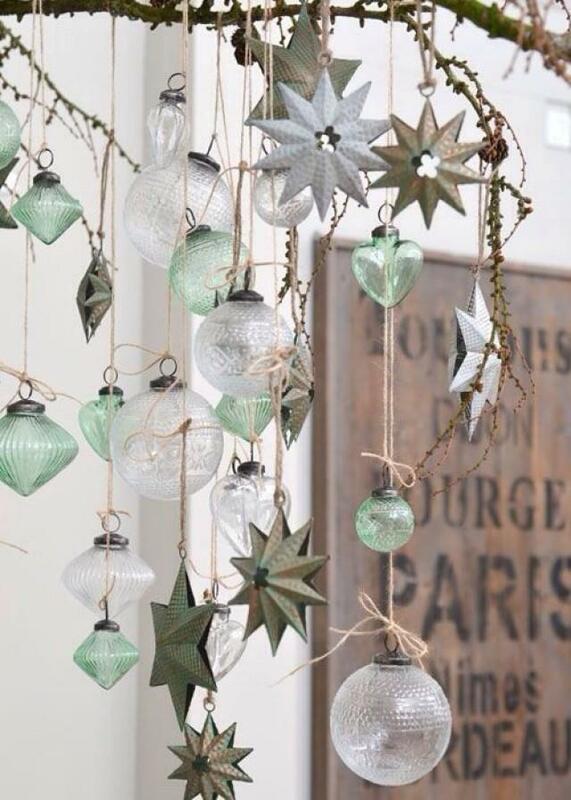 Here again, we’re taking a cue from the Victorian era, where people began the trend of using glass baubles. 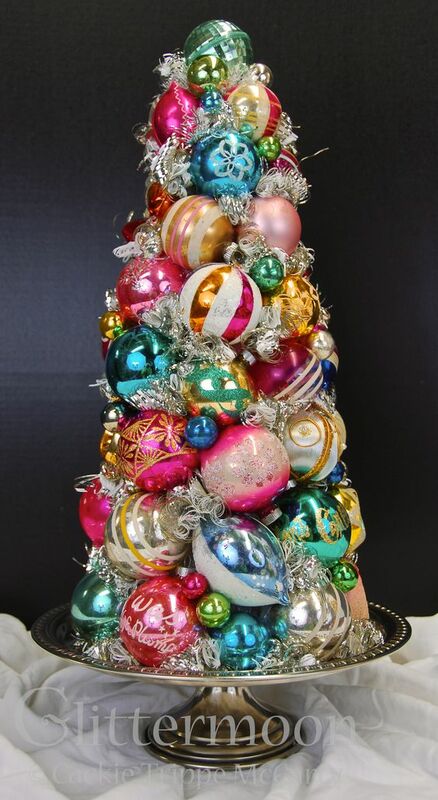 Your different shapes and color of glass baubles for your aluminum Christmas tree. 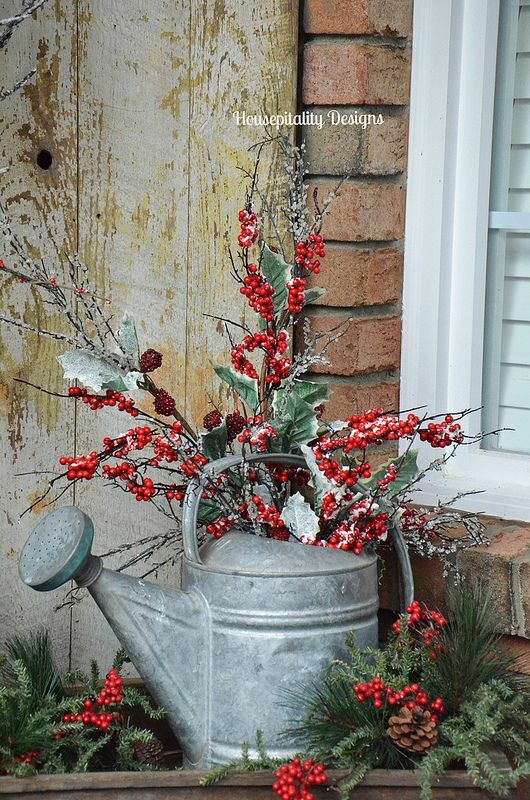 How about making use of the small galvanized buckets lying around the house? 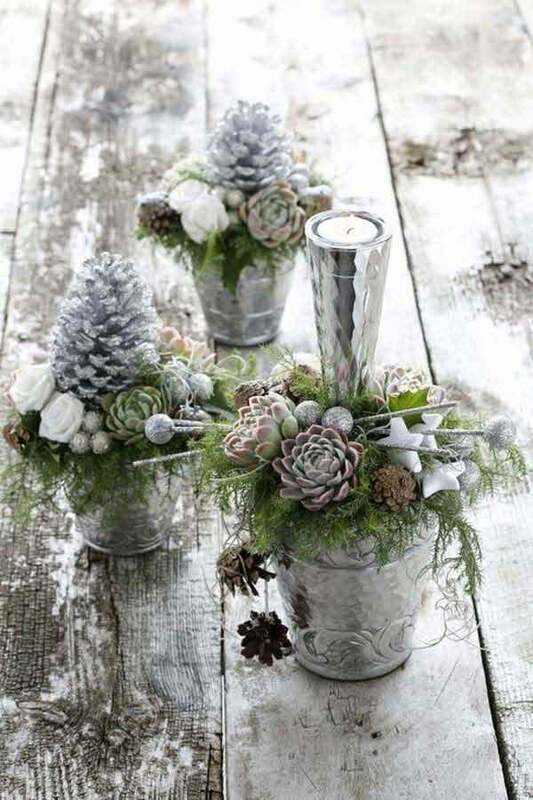 Stuff the buckets with glitter-coated pinecones, flowers, stars, candles or anything you like. If you want, you can even purchase a few from the market. 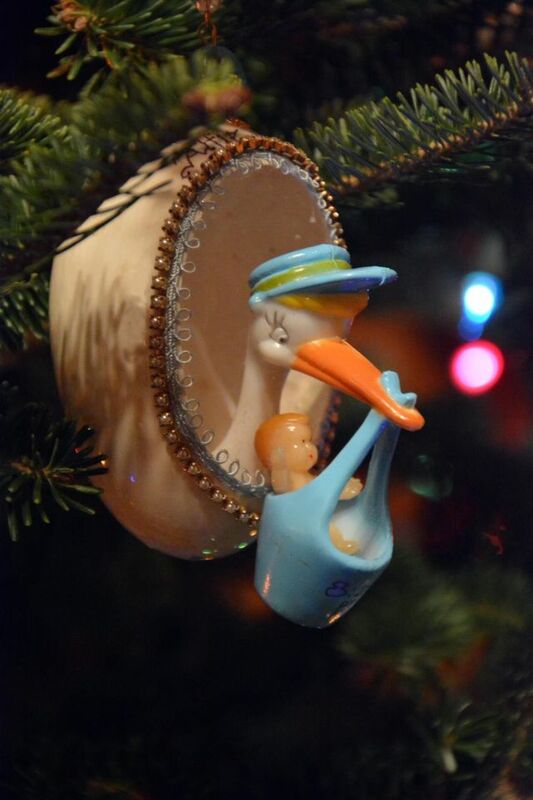 Goose egg ornament was a huge hit during the 1880s. This one’s slightly different. It’s ideal for your child’s first Christmas. This is the easiest vintage centerpiece idea we could come up for you. 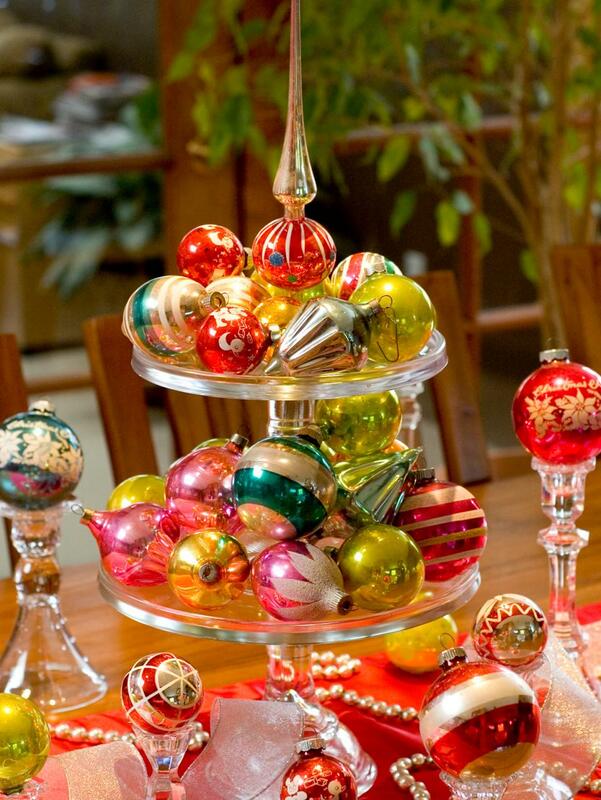 Arrange the glass ornaments neatly on a cake plate and use it as a centerpiece. 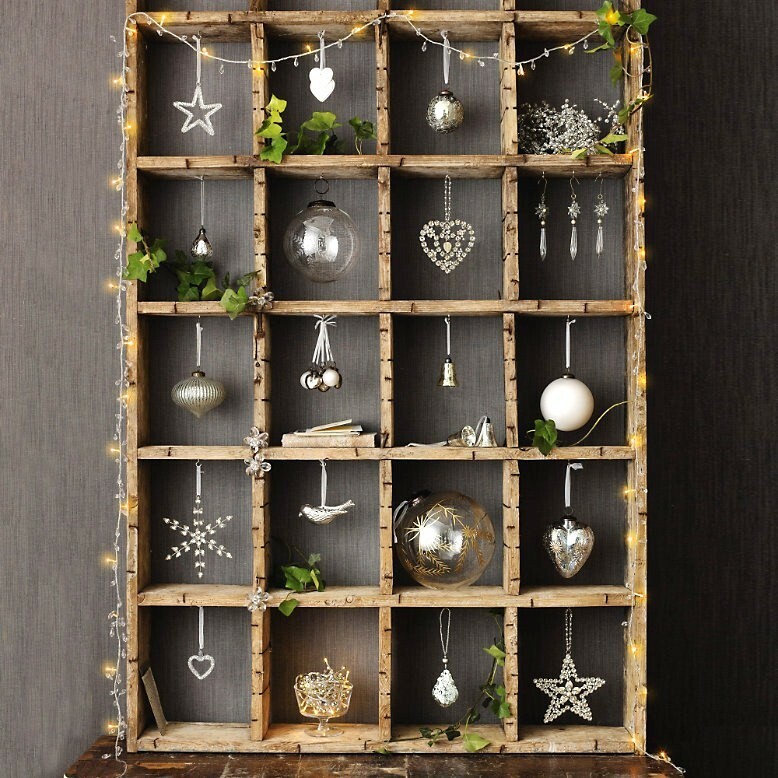 Construct a wooden shelf and display vintage ornaments from it. 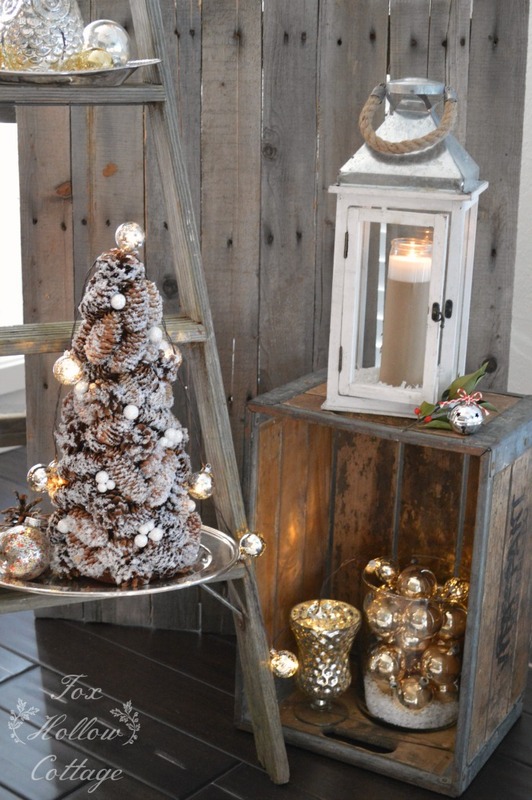 The glass ornament and snowflake ornaments are a must. 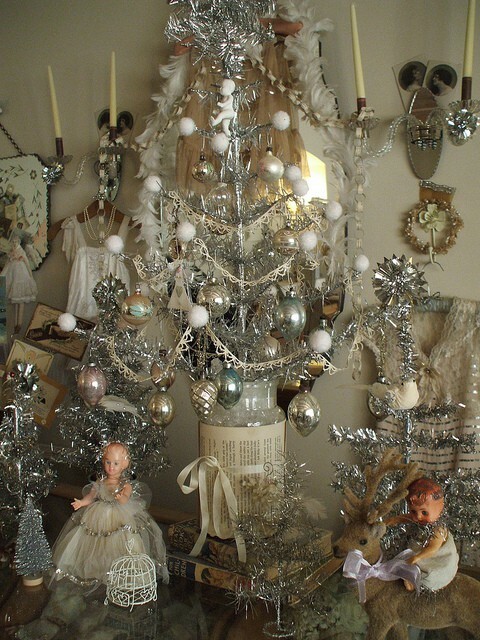 Did you know aluminum trees were a rage during Christmas in the bygone era? 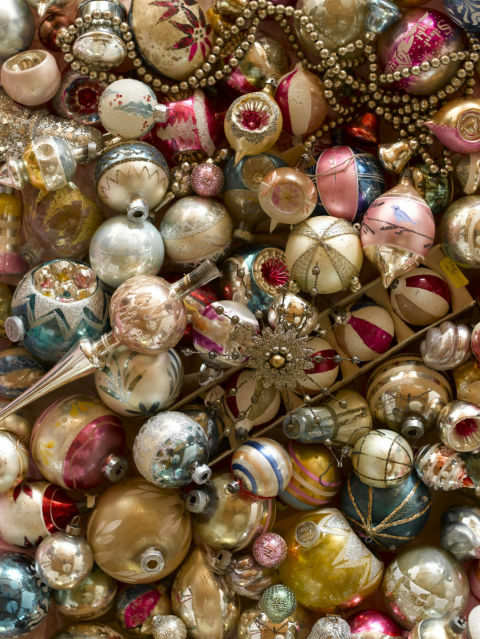 While this picture features white and silver ornaments, we’d suggest you opt for colorful Christmas ornaments. This one’s vintage in the truest sense. The chest drawer is either made to look vintage or was handed down the generations. One of the most unique ways to give your house a vintage touch. 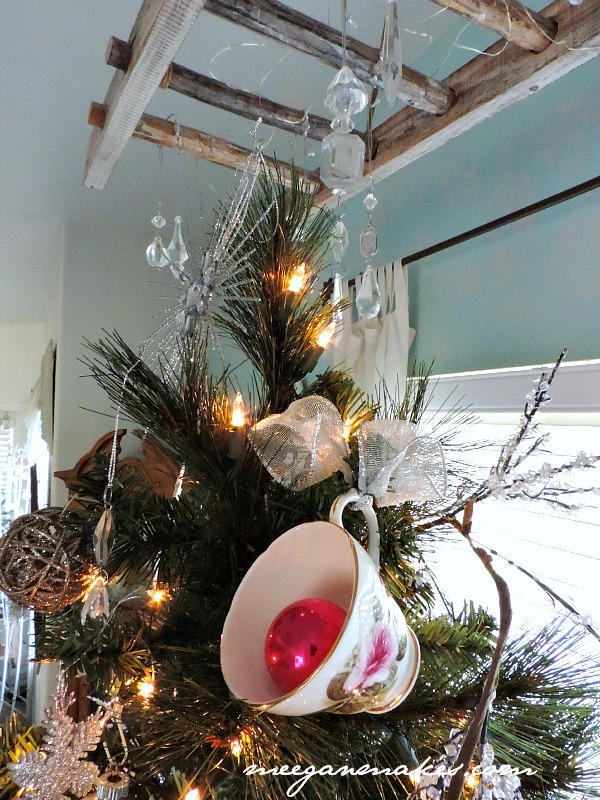 Place an ornament in an old teacup and tie to the Christmas tree. Ensure that it’s out of reach of children. What do you think about this vintage watering can? 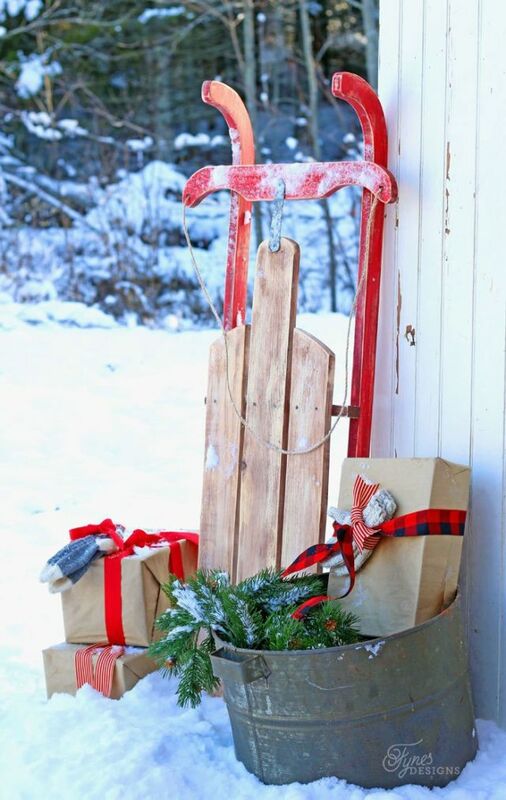 Don’t you think you can use it for your porch decoration? 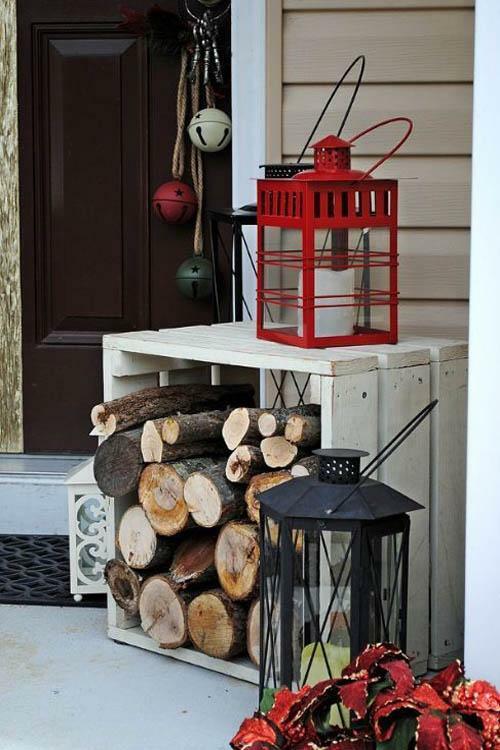 It will give a rustic look as well! 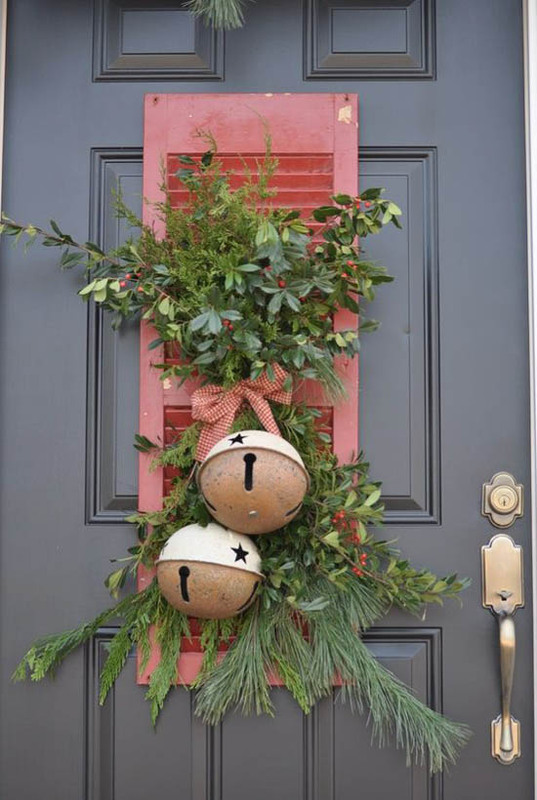 A vintage ornament topiary would also make an apt addition to your vintage Christmas decor. 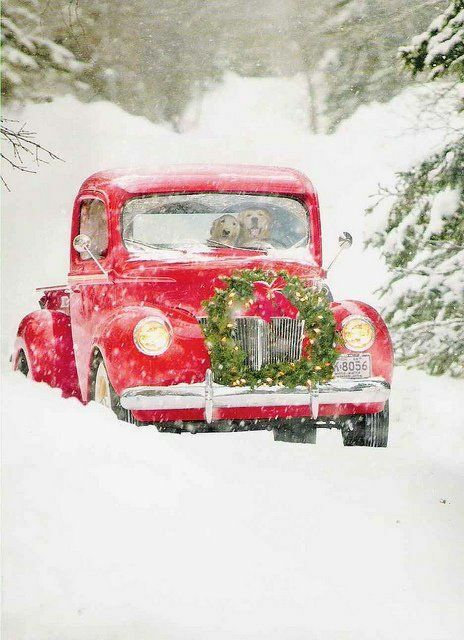 How can we miss a vintage car when discussing vintage Christmas decoration? Did you notice the adorable dog and his partner on the front seats? It’s melting us here. 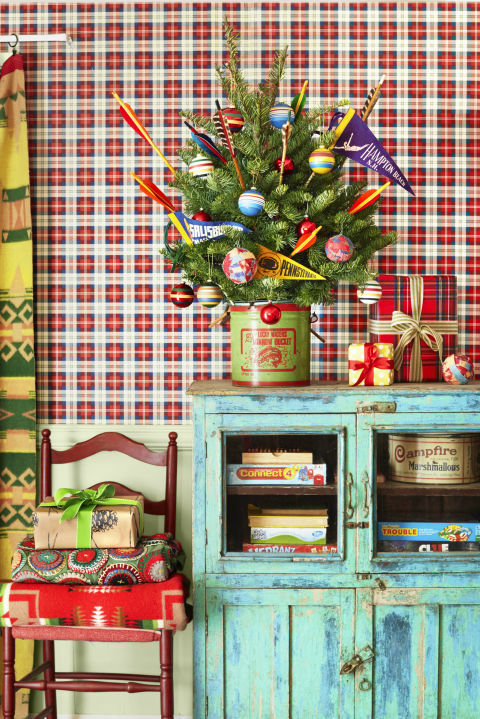 For a vintage twist, you can nestle the mini Christmas tree in a bucket and decorate with vintage type ornaments, pennants, and arrows. 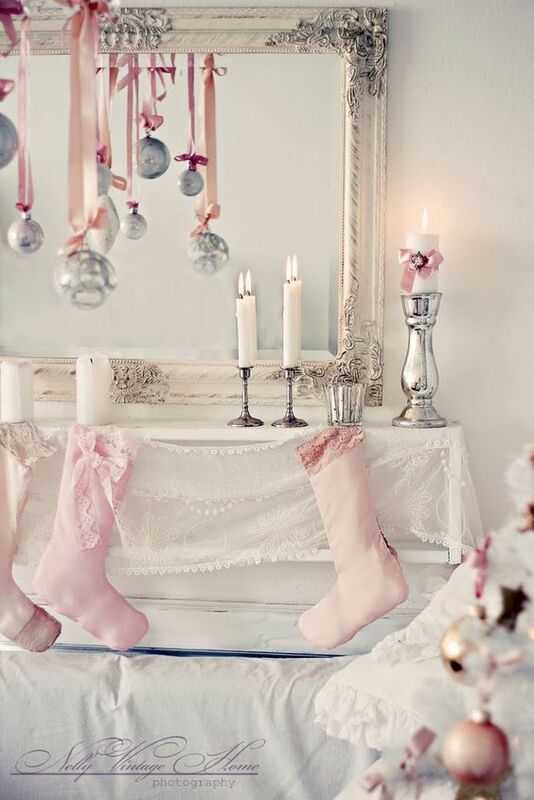 The stockings, the candles, the color combination, everything is selected according to the vintage theme in this picture. You can even try the retro theme of the 60s and 70s if you want. The color combination is one of the least common palettes for Christmas. 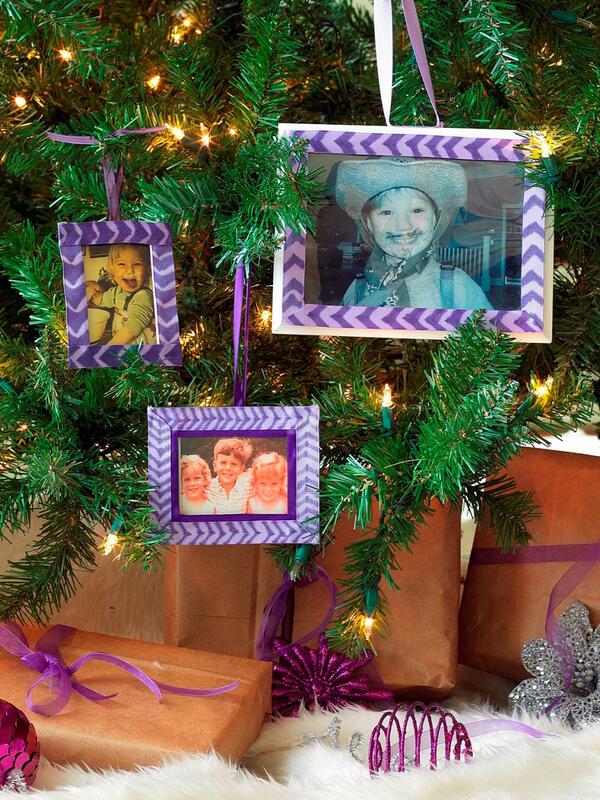 And the idea of hanging photo frames from the tree is vintage as well. Here’s another beautiful centerpiece. The teacup at the top is definitely a fresh change. 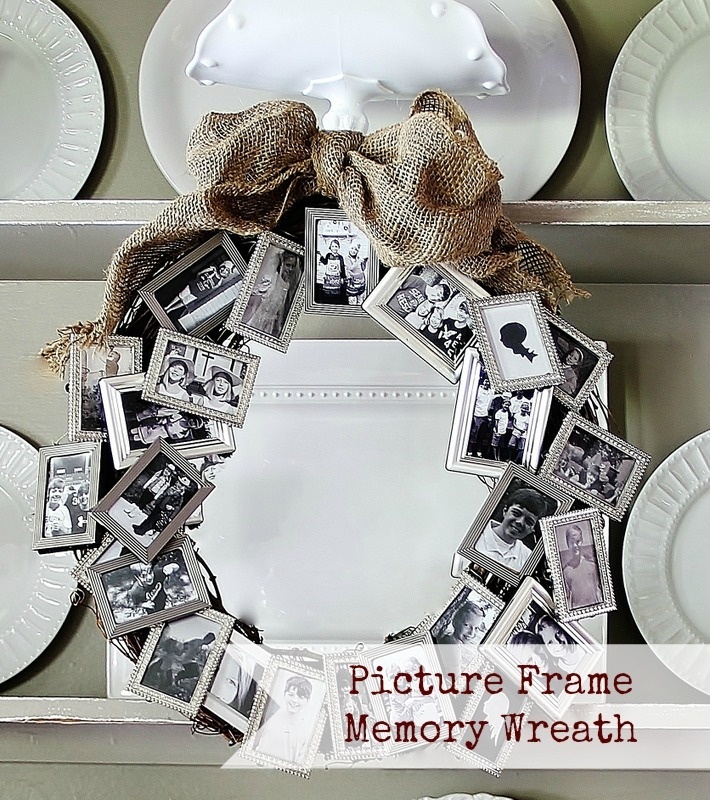 Take out the vintage, black and white pictures of your ancestors and use them to make a wreath. 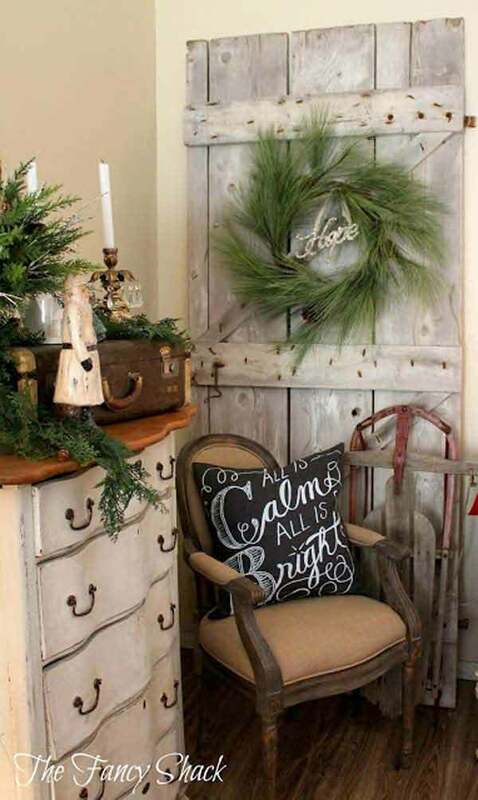 Here’s another beautiful way to give a vintage touch to your décor. 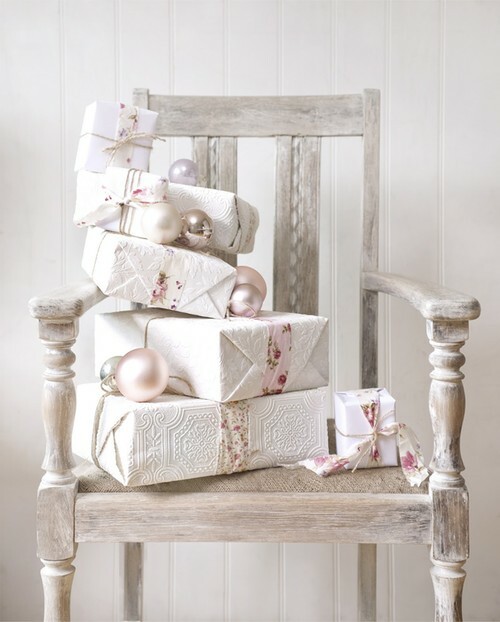 Stack a pile of neatly colored gifts on a whitewashed chair and place in the corner. Don’t forget the decorative ribbons. They are essential. 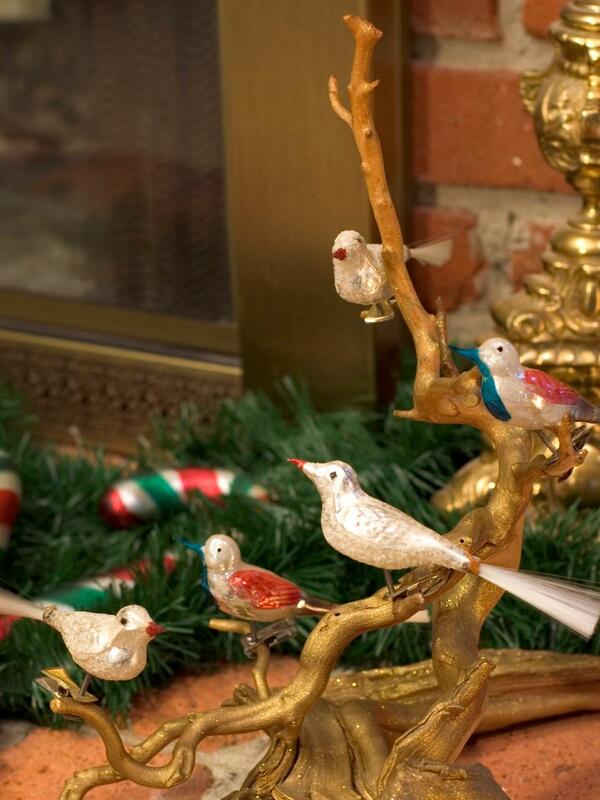 If possible, try to get hold of glass bird showpieces to transform your house to one of the 1880s. These will look absolutely amazing on your mantelpiece. Golden, as we all know, was a predominant color of the vintage era, along with red and green. 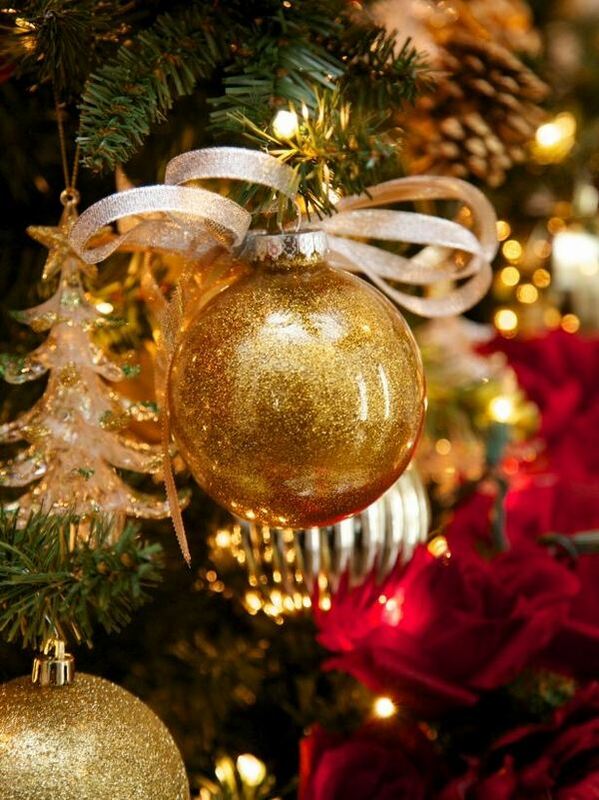 So hang a bright and glittering golden ornament to give a vintage look to your tree. 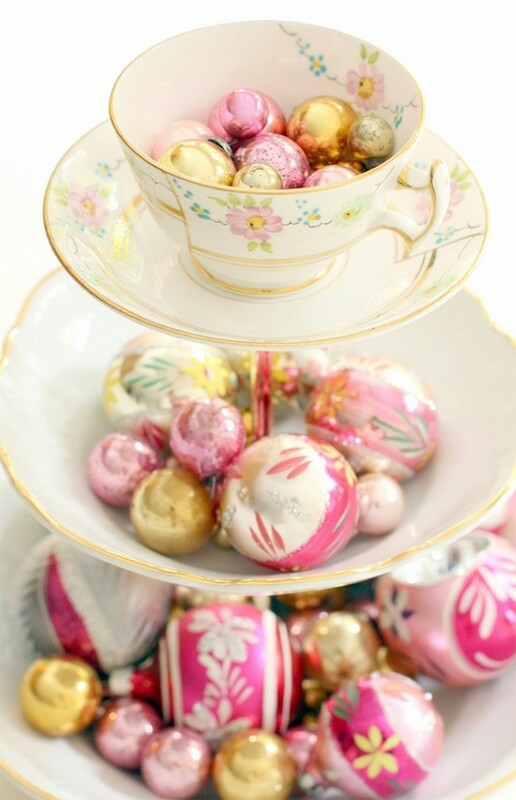 Purchase some pastel, pretty looking ornaments, stack them on a silver plate and they are ready for display. You can add other elements like stars and candles if you want. This is the real meaning of vintage. Hunt your storeroom to get bells like these and start crafting this lovely door decoration item. If you people are still using these chairs, well and good. But if you’re not, we’d suggest you get a few to create a vintage look. 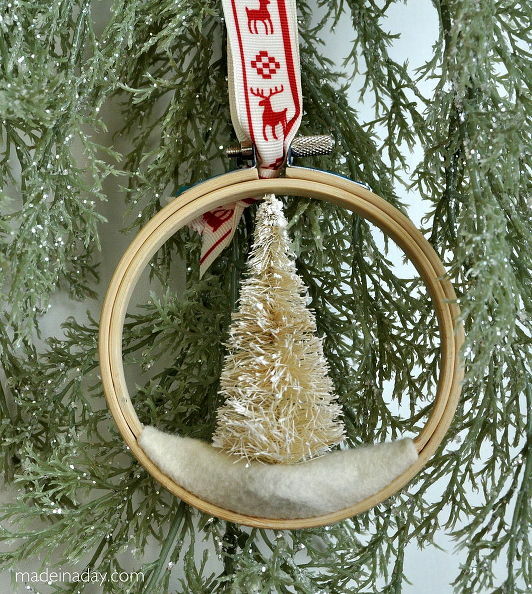 And don’t forget the to hang a small sized wreath from it. What do you think about this idea? Doesn’t it take you back to the 1930s? 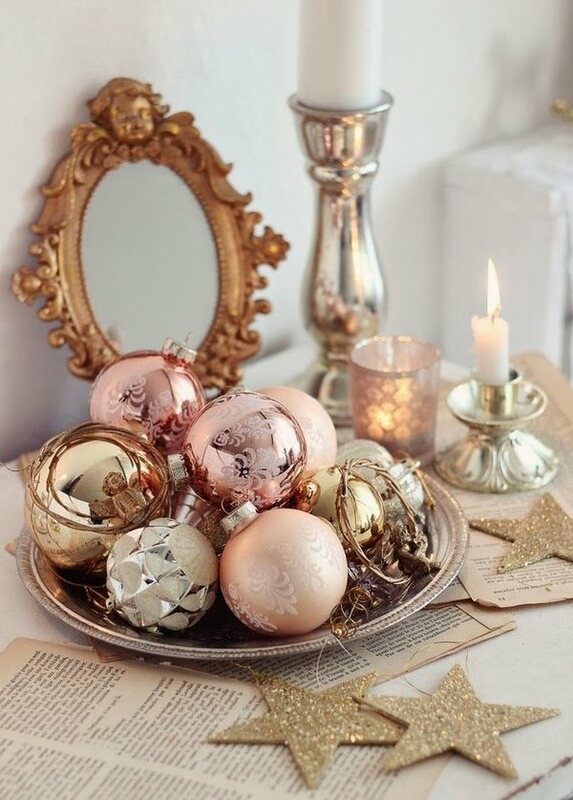 The mercury candle holder and baubles are also setting the vintage tone. This beautiful chandelier will go really very well for a Christmas wedding. 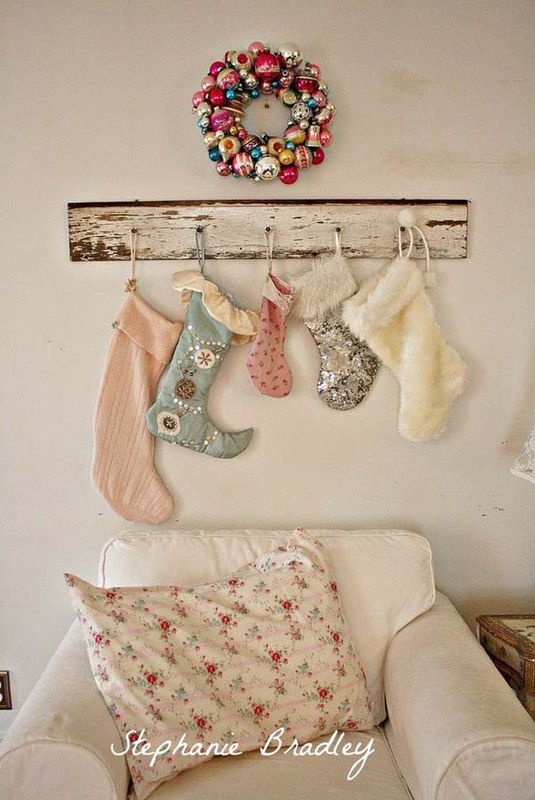 Purchase or get hold of a few vintage stockings and hang from the mantle or recycled wooden shelf. We’ve sorted you for the gifting also. 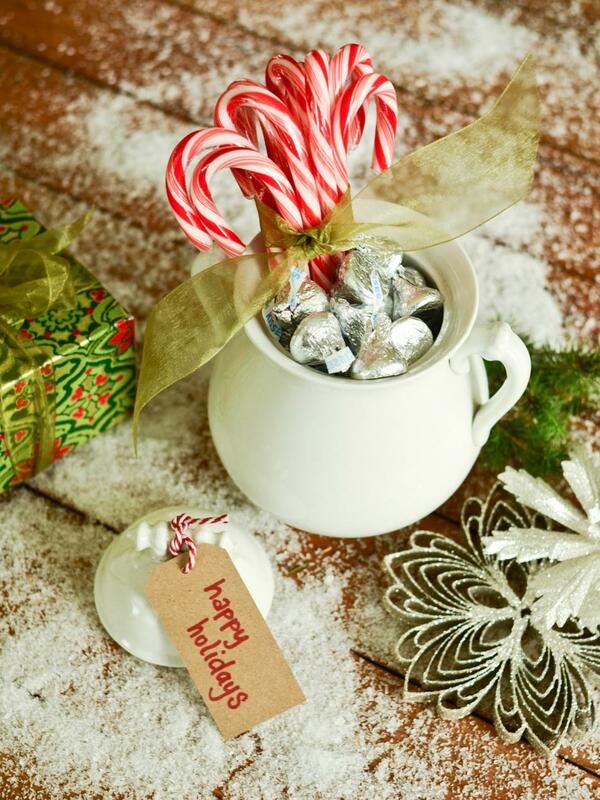 Fill a jar with classic candies, wrap them beautifully and send as gifts. If you want a statement piece, look no further than this. The blogger has cleverly used white net fabric to give it a vintage touch.